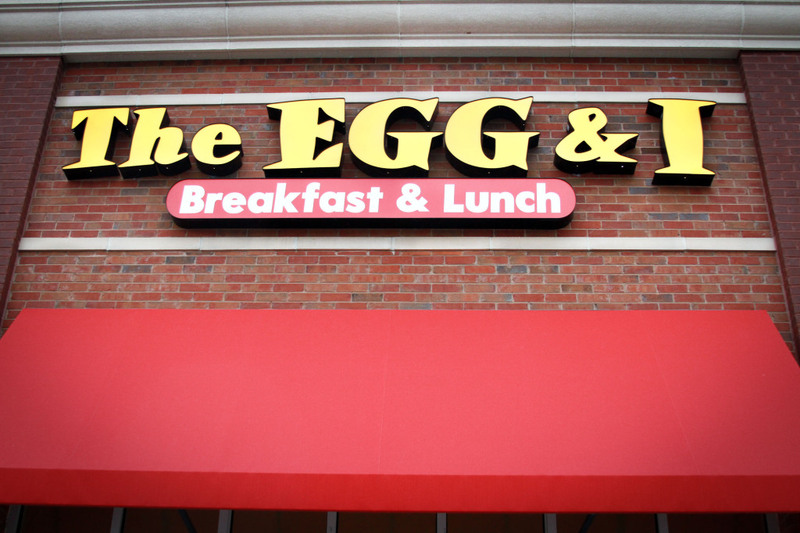 Scrambled, poached, or sunny side-up, The Egg & I is serving up eggs any way you like 'em. Brunch is truly a meal where you get the best of both worlds, and for a college student that means not having to wake up at the crack of dawn to enjoy eggs Benedict. Personally, I find brunch places in Knoxville are a dime a dozen, and they are usually more for the fancy crowd. 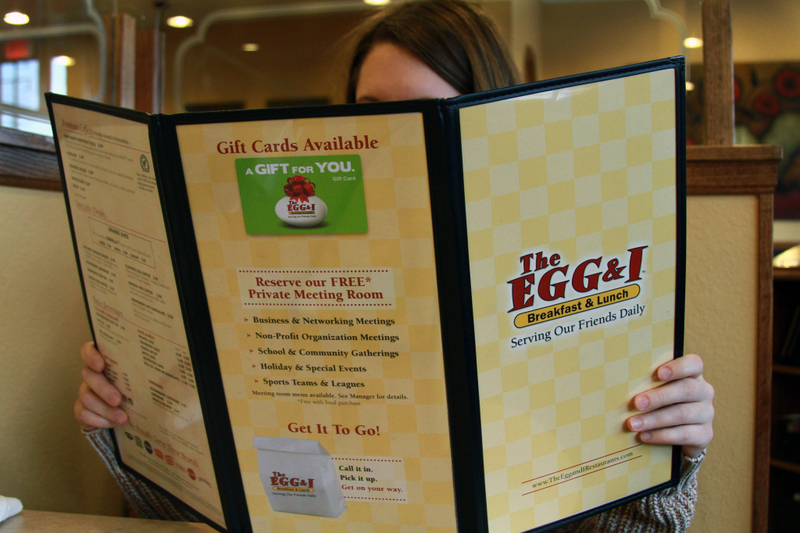 So, the opening of The Egg & I on Kingston Pike is an egg-cellent addition to the Scruffy City. Upon walking into the restaurant, I was welcomed with southern farmhouse style decorations. The walls are adorned with faux wooden window panes and rooster art pieces. Honestly, it reminded me of my grandma’s kitchen out in the country. 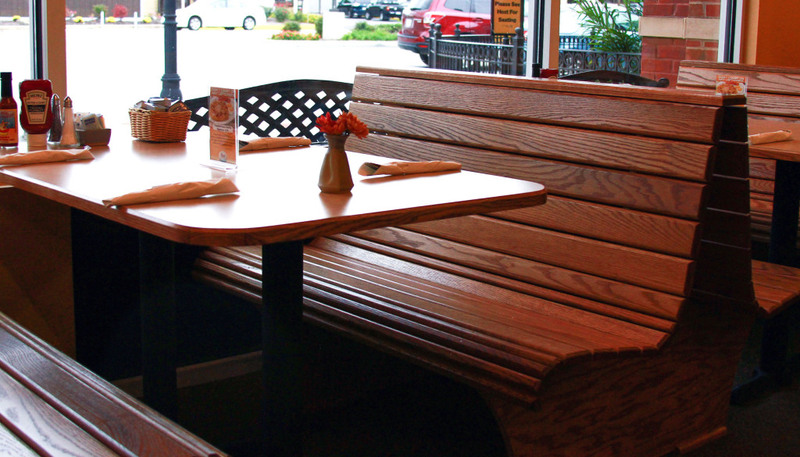 Wooden benches further the farmhouse ambiance and provide surprisingly comfortable booth seating. Classic down-home brunch style. The star of the Egg and I’s menu and my absolute favorite is the Parisian Benedict. It’s a slightly different take on eggs Benedict; the dish is made of a toasted croissant topped with shaved ham, Swiss cheese, diced mushrooms, a poached egg and creamy hollandaise sauce. Every bite is an incredible combination that’ll make you forget all about the eggs Benedict you used to know. Perfectly poached eggs paired with crisp ranch seasoned potatoes–this dish keeps me coming back to order it every single time. 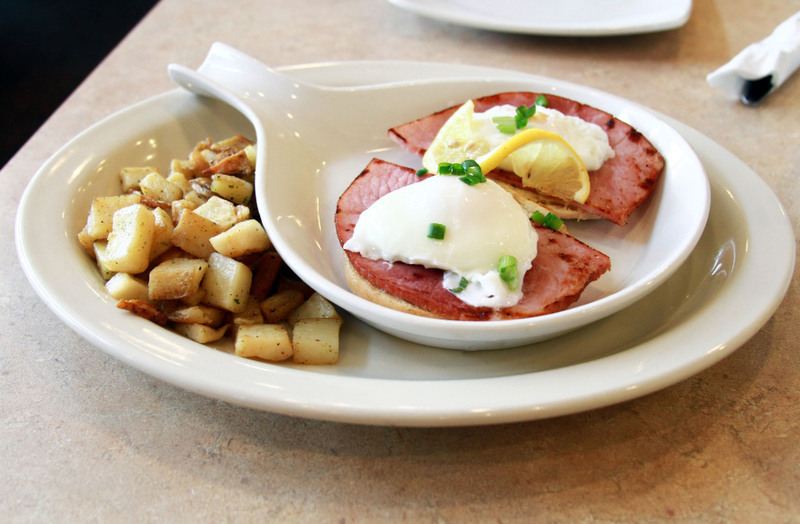 If eggs aren’t your thing, the menu also has a number of waffle and pancake dishes. Not everyone knows about the pumpkin waffle, but it’s a festive celebration of fall and is topped with candied pecans and cinnamon butter. It’s worth a try on your own, but you might have to bring a friend and split it because the waffle is huge for just one person. Overall, The Egg & I has a lot to offer a brunch lover and has secured its place among my favorite Knoxville brunch joints.